+ Arrow necklace. 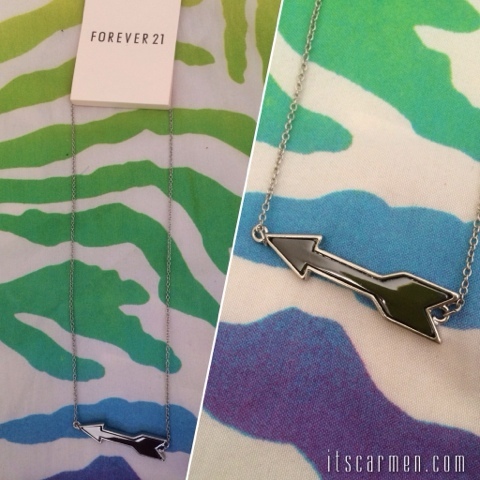 Chain necklace with arrow pendant. High polish finish. Lobster clasp. Lightweight. + Chevron cutout hoops. 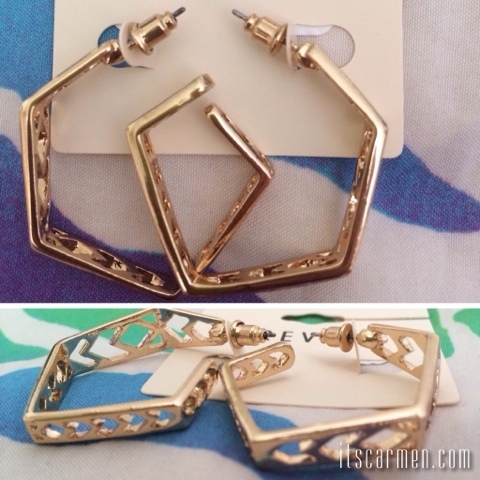 Pair of faceted hoops featuring cutout chevron pattern. Post backs. High polish finish. Medium weight. 1. Please enter by choosing one, any or all of the options below. 2. To enter, you must be located in the U.S.A. 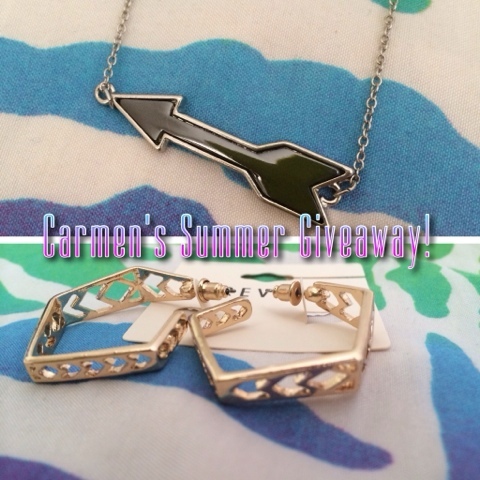 This summer giveaway ends at 12 a.m. on July 3. Love all of these, I love the earrings! What an awesome giveaway, thank you for sharing this! That's so sweet that you are doing a non-sponsored giveaway! I love your style posts -- I'd love to see more of those. Life updates are always good, too. Thanks for doing what you do, lady! What an adorable giveaway. I just love those earrings! I really love the necklace. It's super cute. I love giveaways so the more you do, the more I will visit! I'd like to see more giveaways! Great giveaway!! I would love to know more about your favorite shows/what you regularly watch. It's always fun to see if other people are in the same fandoms as myself and my friends! I like to see things for the kitchen and for men. I always like more giveaways! What a cute give away - unfortunately I don't live in the U.S. How sweet of you to give away some cool jewellery! Love all the giveaways you do! I would love to see more giveaways & product reviews! I would love to see DIYs and makeup tutorials.